In each potato sack, only the strongest are chosen to be turned into poutine. Pit yourself against your friends to prove your worth and fulfill your destiny! Will you emerge victorious? 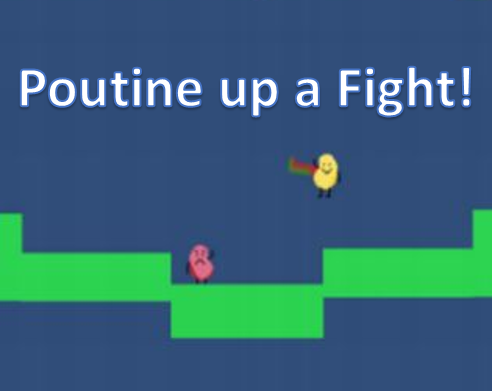 Instructions: Stab other potatoes and get to your flag first to be named the chosen potato! Game made in 6 weeks for the Pixelles Incubator IV.